Welcome to the Writing Tips Oasis guide on writing urban fantasy. Here, we will talk specifically about writing urban fantasy, so, if you want to know more about the act of writing, you can view our guide on writing fiction. Urban fantasy, as a subgenre of fantasy, first appeared in the 1990s, with Anne Rice’s Interview with the Vampire, and the rest of her series about vampires paving the way. Today, urban fantasy is among the most popular genres, with urban fantasy titles often hitting the top spots in the NY Bestseller List. Urban fantasy stories are, essentially, stories that involve supernatural species and creatures that come straight out of a myth. Starting with vampires, werewolves, shapeshifters that shift into animals, shapeshifters that can shift into any person or animal, elves, fairies, and other fey creatures, all the way to angels, demons, witches and wizards, mages and oracles. The other essential part of an urban fantasy story is the urban setting. There are many ways that you can play with the setting, but the most essential thing is to have your story happening in a city, rather than the countryside. However, like with most so-called rules about writing and genres, you can subvert the rule and come up with something new. In this beginner’s guide to writing urban fantasy, you will find the most common elements of an urban fantasy story or a novel. We hope the guide will help you in writing your novel. 6. Romance: yes, or no? Like we mentioned in our introduction, urban fantasy has creatures straight out of a myth or legend appear in the urban world. In an urban fantasy novel, it wouldn’t be weird if a many-headed hydra appeared in the Hudson river, nor would it be weird if ancient pharaohs rose out of their pyramids and decided to take over the world. Now, the general rule is that the word urban in urban fantasy comes from an urban setting: which means that your story will need to happen in a city, although, there are urban fantasy stories that happen in smaller towns as well. In this part, we will focus solely on the world building of an urban fantasy world, specifically about the urban setting. While you might think that you need to have your story set in a big city in modern times, there are actually different ways that you can interpret the word urban and choose different types of places in different eras. In addition, we will talk about the rest of the world outside of the city. In an urban fantasy world prevalent with magic, the world itself can look differently, depending on your story. So, let’s take a look at how you can build an urban fantasy setting. The first thing that you can play with is the era. You can choose any era, as long as you can keep the urban setting. Meaning, you can choose to write a story set in the past where the characters live in a city – or travel from one city or another. For example, take Kat Ross series called the Fourth Element, which are set in ancient Persia. If you choose an era that’s not the present day, make sure to really include the era: speakeasies in the 20s, swords in medieval times, etc. together with the right clothes and events that, historically, happened in that period. The modern world, however, is a lot easier to portray because we’re so familiar with it. You will still need to decide how much of the modern world are you going to include. For example, you might be thinking of the modern world, but if you eschew the internet and social media part out of your setting, your story automatically gets set in the 1990s. When you’re writing your urban fantasy story, use the normal urban world as a tool. That way, you can use everything that the modern world has: phones, fast cars, airplanes, internet. In the modern setting, every place in the world is easily reachable, every person in the world can be contacted unless they’re technophobes and have never heard of a smartphone. On the other hand, in the urban fantasy world, you can have a vampire laughing at Nosferatu, or you can have elves using Snapchat. There are two different ways that you can portray the city: as it is, or as it would be because of the magic. We already mentioned that magic in the world can change the way it looks. Take, for example, Nalini Singh’s Guild Hunter series, which are set in NYC. Now, admittedly, the Guild Hunter series belong firmly in the paranormal romance genre, however, Nalini Singh has done an excellent job at world building. In her novels, NYC is transformed by the presence of the Tower, which is the seat of the Archangel who rules over the territory. The abovementioned points to the fact that you can choose to have your story set in Las Vegas, for example, but it doesn’t have to be the Vegas that we know. You can change it, shape it as per the needs of your story. Or, you can use the urban setting as it is without changing anything. – If magic is not a part of the world, then you can, and should, keep the setting as it is: unchanged and unaffected by the magic present in the world. A very good example of magic changing the face of the world in urban fantasy can be seen in Ilona Andrew’s Kate Daniels series. In it, magic is a part of the world that comes in phases (shifts). Throughout the day, magic and technology flood the world, with magic rendering technology useless, and magic being weaker and less accessible when the technology is up. And while the series is set in Atlanta, we constantly see how the presence of magic has changed the city. If you choose the second type, you can have many magical locations hidden away by glamour and charms. A good example of this is how J.K. Rowling hid 12 Grimmauld Place in London. No one could see the house unless they were told about it by Dumbledore, which ensured that no muggles will come close to it. There are many other examples of magical places being hidden away so that normal humans will not get close. By outside the city, we’re not referring to surrounding suburbs, but to the world outside of the city. For example, if your story is set in a magical city, is the rest of the world aware of it? If magic is happening only in this specific town, what does the world know about it and how does it react? Moreover, is there any other setting that your characters have to visit in the course of the story? A story can be set in just one city, of course, and cities offer the opportunity to include many different locations in your story, to include secret societies and underground groups, and add many different layers to your world. If you’re keeping the setting as it is, unchanged by magic except for certain magical locations, then you would not need maps or pathways. However, it would be a good idea to print out a map of the city, circle all the locations and mark down the path that your protagonist and other characters would take throughout the story. This will make it easier for you to keep track of how far along you are in your story. If you’re changing the urban world, then you should consider making maps of the changes, and add the pathways there as well. We mentioned Kat Ross previously, who used an ancient setting for her story. In her novels, Kat Ross includes maps that help you understand the setting, both because it’s in the past, and because the world has been slightly changed by the presence of magic and magical beings. Well, you cannot have a separate species, who are primarily magical creatures of some sort, without building a society and culture around them. Elves will have their own society, and so would angels, faeries, and vampires. This can be seen in many different novels. For example, in Karen Chance’s Cassandra Palmer series, vampires have their own society and hierarchy, and so have the mages. Both sides have a leader and a council who rule over the others. Shapeshifter packs always have an Alpha, and sometimes the Alpha has sentinels, lieutenants, betas, and other subjects. Culture is another important element, especially if the setting you have chosen has been changed by the presence of magic. How do magical creatures feature into a big city? What types of jobs do they have and why? What can a seer with the gift of foresight work as? What about a person with wings? More importantly, what kind of a mark will these supernatural creatures leave on the city? Will they go for something glaringly obvious, like the Tower in Nalini Singh’s Guild Hunter series, or would the change be subtle – a dingy motel on the outside will be the sprawling lair of a vampire on the inside. The everyday life of the characters can include anything and everything: from how and where they get food to how they get around. For example, in Ilona Andrew’s Kate Daniels series, magic does weird things to animals, which changes most recipes as we know them, while chocolate has become a rarity, making it highly expensive and hard to get. When it comes to transport, for example, will an angel with wings use an airplane to get around and why? How do mermaids get from one place to another? Can you use magical ways of getting around? A very good example of magical transport is using ley lines. Ley lines are considered to be metaphysical pockets of energy that can be used for fast travel from one place to another. The best way to complete your world is to imagine one day in the life of your character. It doesn’t need to be a special day – it can be just an ordinary day. Your protagonist, or one of your characters, will just wake up, go to work, and then continue through his or her day. When you do this, you will find yourself building your world: cafes and bakeries, banks and offices, apartments, friends, places to go, things to see. Restaurants and pubs, where trolls dwell and elves turn up their noses. If you do this for more days, where your characters will do different things, you will get to fully know the world you have built, or, at least the urban part of it – the one that is either normal, or as close to normal as it could be. Now that we covered the urban world, it is time to focus on the fantasy world. What is the best approach to building a fantasy world in an urban setting? The truth is that there is no best approach, however, as long as you focus on keeping the magic and the fantasy aspects consistent and limited, you will build a world that can and will be the home of many amazing stories. What do we mean by limited? We will tackle the limits before we talk about consistency because you cannot have consistency in a magic world without limits. The limits in a fantasy world ensure that the magic is believable and, within the limits and rules of the world you’ve created, logical. A very good example of a magical limit can be found in the world of Harry Potter, where, even though you can transform one type of food into another, you cannot conjure it out of thin air. If you have magic, make sure that the magic is not omnipotent. One magic user should not be able to do just about anything (this is why magic users in fantasy worlds usually are able to use only one type of magic connected to one element: fire, water, earth, or air, and in some cases, they can use two different types of magic). This means that when you create fantasy creatures and species that can use magic, you need to decide what type of magic they will be able to use, and what type of magic they will be unable to perform. In other words, you need to decide what kind of things your characters will not be able to do. Once you have posed your limits and rules, you will be able to keep these in your mind as you write your novel – and as you edit it as well. In fact, it’s crucial to watch for consistency when you edit your novel because once the writing takes over you, you might not stop to consider whether you’re following the rules or not. In a world without limits, you will have no stories. Your characters will be able to solve almost all of their problems without ever embarking on a journey or changing in any sort of way. Now that we’ve got that out of the way, we can proceed on building a fantasy world, almost step by step. The question you need to ask yourself here is: which myths and legends are you going to take for your novel? Or, are you going to make up your own? As long as you keep the urban setting, even if you invent your own myths and legends, you can still build a wonderful urban fantasy world. The problem arises when you try to incorporate too many different mythologies around the world into one. You cannot have a world with faeries and angels – unless you find a way to connect them. Again, we can draw an example from Nalini Singh’s Guild Hunter series – where the world is populated by humans, vampires, and angels, which is a rare combination. The gist is that you cannot just use fantasy species from different mythologies without adding your own twist to them. And that twist must ensure that it makes sense for creatures from Norse mythology, for example, to coexist with creatures from Greek mythology in the same world. Now, let’s talk about the myths and legends of your urban fantasy world. In the real world, we have myths and legends cultivated by many different tribes and nations around the world. In your world, you need to do the same because of two reasons. First, having myths and legends in a world makes the world more realistic. Second, myths and legends in your world are also your worldbuilding tools. In an urban fantasy world, myths and legends take on a whole new meaning, because in an urban fantasy world, myths and legends are real. An old myth can hold the key to the resolution of your plot. You can use myths and legends to foreshadow things to come. And every myth that your protagonist learns or is aware of can be used in your plot – and should be used in your plot, to make for a more cohesive story. Animals appear often in fiction, whether as a symbol, a metaphor, or just because they belong in the story and play a part in it. In urban fantasy, while adding a special animal (or animals) is not something that you must do, it can be useful. Remember, the urban fantasy world is most often similar to ours – with the minor difference that all (or a certain number of them) myths and legends are real. So, you need animals in your story to make it more real. You can use the usual tropes: a witch has a cat, for example. This is used in TV and film just as much as in novels. For example, in Jim Butcher’s Dresden Files series, the wizard Harry Dresden has a cat. He also has a ghost helper, but we will get to that later. In Ilona Andrews’ Kate Daniels series, horses appear often because when the magic is in full force, conventional transport like cars do not work. When it comes to other wildlife: you can draw from myths and legends. Strange animals can appear that do not exist in the real world, but are a part of a myth. Here, we’re not talking about a minotaur or a sphinx, because they are part human part animal hybrids. We’re talking about seemingly ordinary animals that appear in the story for a reason. Also, people have pets, in any world. What are the common species that appear in urban fantasy? First, of course, are humans, both magical and non-magical ones. Magical humans are usually people who can use magic (any type of magic). They are called witches, wizards, and, in some cases, mages as well. Next in line are werewolves and shapeshifters: people who can shift, or turn, into animals. The shapeshifters can shift fully or partially, or, they can do both in the same universe. Often, a shapeshifter is also a magic user. Then, you have human/animal hybrids like the minotaur and sphinx we mentioned earlier. In this type of species, we can also add mermaids, considering that they are part animal part human. These hybrids differ from shapeshifters because they cannot shift, they were born that way. Last, but not least, we have all the different beings from mythology: angels, demons, faeries and everything in be3ween, including gods and other monsters. Also, do not forget about demigods and demigoddesses, half angels, half vampires, half demons, etc. Remember, you cannot just play mix and match with mythological creatures and see what comes up. If you have angels and vampires in your world, make sure that it’s possible. If you have faeries and demons, make sure their existence makes sense, that it’s logical for these two types of beings to coexist in your world. In order for you to have an urban fantasy world, you need some kind of magic. The magic can stem from the world (elemental magic that focuses on the four elements: earth, fire, air, and water), it can stem from other sources. It can be invoked with incantations, rituals, potions. Then you have the magical artefacts and objects – quite often, these objects have doomsday properties (they can even be actual magical bombs). Spells that got out of hand, curses that need to be lifted. The list of ways and methods of adding magic to the world is endless. What you need to be careful with is limits. A healer cannot heal everything, a psychic cannot read everyone’s minds, a clairvoyant cannot see everything all over the world. A necromancer can communicate with ghosts, maybe even make zombies, but can they really raise the dead? The one and only reason why you need limits in the story, is because when your characters are overpowered, we’re not following them as they are challenged, which in turn, causes them to change. Overpowered characters have no need to improve – as such, they don’t need to change. As a result, you don’t have a story. You see this mistake often in serials: in book one, the protagonist either gains new powers or improves upon his or her existing ones – and then in book 2, 3,4, and so on, that character remains static. There is a certain type of beauty in reading a series, but when you realize that the main characters have remained static for three books in a row, the magic is gone. Well, if you’ve paid attention to all the elements we’ve listed so far, and if you have found ways of incorporating them into your world, then congratulations! You have set out the foundations for your urban fantasy world. Why are these just the foundations? First, because you need to connect all these elements in your story. Think of it like a circle: a well-developed urban fantasy world supports an urban fantasy story, and in turn, the urban fantasy story is what brings the urban fantasy world to life. This means that you make the story fit your world. If you have faeries in your world, then at least one character must be a faerie. If you have a magical phenomenon happening every week in your world, then the story will begin when the phenomenon fails to make an appearance. Think of your world as static before your story starts – and when the story starts, even the world itself will undergo a change. That change can be on a global scale, on a cultural scale, within a community, in the nature of the world, or in many other ways. It is quite often that writers create the story first and then the world. This gives you the opportunity to ensure that the world matches your story perfectly. However, even if you create the world first, before you have created your characters and your story, you can get the same result. Because a well-developed world offers the opportunity for thousands of stories within. In fact, a lot of urban fantasy authors create spin off series, write novellas and short stories that do not feature the main characters of the main series, but the novellas and short stories happen in the same world – be it before the story begins, or after. Karen Chance, author of the Cassie Palmer series has created another series (Dorina Basarab) and set them in the same universe, only in a different city (the Cassie Palmer novels are mainly based in Las Vegas, while the Dorina Basarab stories are mainly set in New York). In addition, however, Karen Chance has many short stories and novellas that happen in the same universe, but are set in different years to the two main series. If you have a well – developed urban fantasy world, the opportunities for stories are endless. Isaac Asimov might not have been an urban fantasy writer – but his Future History series encompasses almost his entire fiction work, from series to short stories, all interconnected throughout millions of years, as humanity reaches for the stars and beyond. We previously mentioned how, in a world of faeries, it would be unusual not to have at least one faerie character (or at least, half – faerie). The same applies to worlds of vampires and angels, gods and goddesses. However, what you need to ensure is that you don’t have a vampire character just because you need one character to be a vampire. To continue the example, find the vampire character a role that has an impact on the story. These roles do not have to be major roles: but it’s better to introduce a character because he or she is needed, rather than just have a character who appears in the story for the sake of appearance. The best thing about urban fantasy is that you can make up your own world, through your own imagination, and you don’t even have to use any world mythology and make up your own. This means that the types of supernatural characters we named above in section three are only the most common types. There are many more types of supernatural creatures that can be found in many different mythologies from all over the world. Otherwise, you can make up your own myths and mythological creatures, especially with the help of two books: The Golden Bough, by James George Frazer, and The Hero with A Thousand Faces, by Joseph Campbell. Joseph Campbell and many other philosophers, including Jung and Freud, talk incessantly about the monomyth: the myth that gives birth to all other myths. By analyzing the monomyth, you can use it to create your own myths and legends – and ultimately, your own supernatural creatures and a supernatural, urban fantasy world. Now that you’ve created the basis for your story – the urban world and the fantasy world – it is time to create the story. In this section, we will be talking about structure and how to plan out your urban fantasy novel. Please keep in mind that each bit of advice you read in any of our guides is yours to modify and change as you see fit, including the tips we will present in this section. Another note: it’s important to know that the tips in this section are not meant to be used for creating an outline – but for creating a plan. Here, we will talk about characters in urban fantasy, not from the aspect of their supernatural species, but from the human side (even if the characters are not, technically speaking, human). In urban fantasy, one has many different beings: from gods to demigods, to faeries and vampires. The human side is necessary to show progress in these characters, especially since often, these characters are immortal – or as close as you can get to being immortal. In addition, we will talk about the story, how to develop it, and what types of stories are often found in urban fantasy series, as well as how to develop the plot for your story. Previously, we talked about the fact that it’s important to have diverse characters in your urban fantasy novel, and that you need to ensure that they have a role in it as well. In a way, think of your characters as a cast in a movie: each character needs to have something to do. – Your characters need to change throughout the story. And all of the above are true. In addition, you will probably be warned not to make your character a Mary Sue (or a Gary Stu), which can be pretty difficult in an urban fantasy novel. Often, the protagonist is so overpowered that there is no room for them to change and progress. This happens mostly in series, where the character gets superpowered by the end of book three, and then, all subsequent books seem to repeat themselves in a formulaic way. So, to avoid this, avoid making your character overpowered. Less is more, even in urban fantasy. However, if you tip the scales in the other direction – where your character is so underpowered that he or she needs everyone else to help him or her with his or her problems, you will end up with a protagonist whose only agency is to convince people to fight for him or her. And while that does have the potential to make an interesting story, the protagonist still has very little agency, and it is crucial for the protagonist to be the one with the most agency in a story. In other words, an overpowered protagonist can solve the problem in a bit (which means you have no story), while the underpowered protagonist just does not make things happen (in which case, any other character from the supporting “cast” can be the actual protagonist). You can divide your characters in three different groups: heroes, villains, and antagonists (and, it’s worth mentioning: love interests). You can have many antagonists, however, only one will be the main antagonist. You can have many villains, who in turn can have big or small roles in your story, however, you can only have one main villain. You can combine the main antagonist and the main villain. If you’re writing a series, you can have a main antagonist for the overarching plot, and several other antagonists who will be defeated in each book. Your main antagonist needs to be developed just as much as the protagonist is (regardless of whether the antagonist is a villain or not). A main antagonist who is merely a villain is a two-dimensional, underdeveloped character who is evil only for the sake of being evil. Be careful with the number of characters you develop – because each character must have a different voice. You don’t want to write dialogue that reads like a monologue. The best thing about writing a novel is that you have the time to develop your characters. The best thing about writing an urban fantasy novel is that you can have antiheroes who will be loved by the readers. Urban fantasy worlds are often harsh worlds that need characters who will shoot first, ask questions later – probably because the other side is doing the same thing. The genre is such that the path of peaceful resistance is not of utter importance to your readers, however, you also don’t want to create a character who will just shoot and curse everything in sight until everyone is dead (again, where is the story in that?). So, the most important thing to remember when you’re creating your characters is the fact that they live in a world where gods and monsters lurk in the dark – which means that the damsel in distress will not last long unless she has a knife hidden in her boot. – Put the protagonist on the hero’s journey. For the last one, we recommend reading The Hero with a Thousand Faces (by Joseph Campbell) and The Writer’s Journey (by Christopher Vogler). The second one is actually more important in developing a story because it describes how to apply the hero’s journey in a novel (or a film). Putting the protagonist on the hero’s journey in the first act means that the protagonist will go through these stages: ordinary world, receiving the call for adventure, resisting the call, and then, after being put in a situation where the protagonist has to take action, crossing the first threshold, which is the end of act one. In urban fantasy, however, no reader will blink an eye if you begin with action rather than introducing the ordinary world – in other words, you can develop the ordinary world later through backstory. In this case, you can start immediately with the call to adventure. – Obstacles that must be overcome in order to get a new clue or make a step forward in solving the problem and achieving the goal. Often, that trial can be life-threatening. However, beware of using the danger of physical death to the protagonist, because that one has been so overused it has become a cliché. Moreover, there is the Doomsday Scenario (where the world is at stake), and the Death of a Loved One (where someone the protagonist loves is in grave danger). Whichever trial you choose, make sure that you add your own spin to it – and make it original and your own. We touched upon some types of urban fantasy stories in the previous section (Doomsday Scenario, Physical Death, etc). Now, we can take a deeper look at the types of urban fantasy stories (and in some cases, character urban fantasy stories). Kidnapped loved one who is in danger of physical death. Supernatural CSI story (SPI Files). Supernatural PI story (The Dresden Files). Supernatural troubleshooter stories (where the protagonist is a person who troubleshoots problems of a magical nature). People going missing due to magical reasons (a spell, a creature, a paranormal serial killer). Prevention of a demonic ritual (usually goes together with the previous one, where people go missing/are killed in order to do a magical ritual). A Faustian Deal (a deal with the devil, or a representation of the devil, to get power). Missing magical artefact mystery (goes with Doomsday Scenario/Doomsday Device). The list can go on and on. It is imperative to add your own spin to the story type (and, no matter what you think, the chances that someone else already has a similar story in mind are bigger than you realize). Nothing is new under the sun. What is new is your own interpretation/representation of it. And, plot point two leads to the resolution. The inciting incident is what we called earlier the call to adventure. Plot point one is answering the call and taking action. Often, this means that the protagonist has to make a decision to act – and they need to make a wrong decision. If the protagonist made the right decision in plot point one, what would follow is the resolution and not the second act of the story. Plot point two, which happens at the end of the second act, is when the protagonist makes the right decision. In a novel, this is the moment where the protagonist, finally, has a very clear idea of what needs to be done, and, due to his or her character arc, is ready to do it. The last definition of plot does not talk about linking the events in your novel through cause and effect, which is vital to your story, however, the simplified concept can be useful when planning your story, because it allows you to know, beforehand, where you need to take your protagonist. 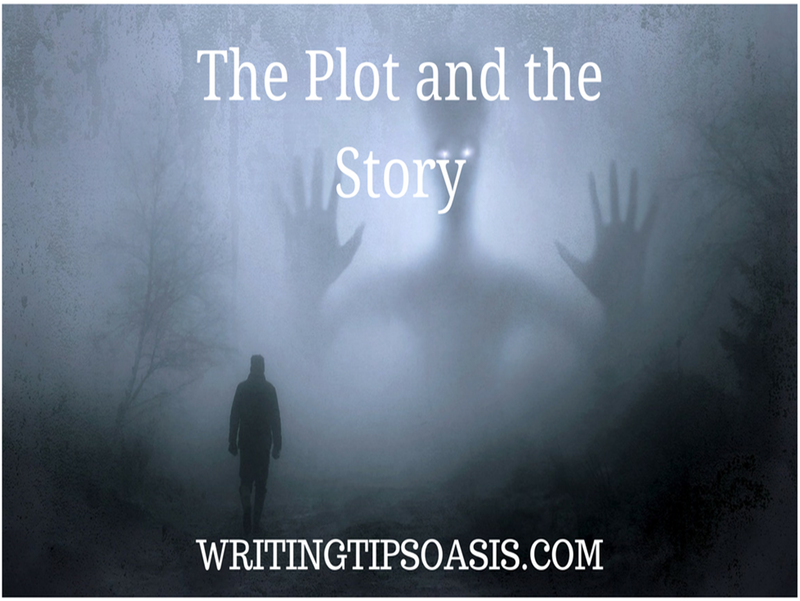 Subplots serve the main plot of the story. They also exist to help develop the characters better – by putting them in different dramatic situations that help them change. In addition, subplots can lead to clues to the resolution of the main plot (especially since most of urban fantasy stories revolve around a mystery – of a missing person, an artefact, a villain/antagonist who needs to be discovered, etc.). The best way to incorporate subplots is to connect them to the main plot in a way that ensures that the resolution of the plot would not have been possible without them (be it for plot reasons or character reasons). Overarching plots are either subplots that begin in the first book of a series and are wrapped up at some point in future books, or it is only one overarching plot that is focused on the main antagonist/villain in the overarching story. Subplots can focus on major characters, minor characters, the protagonist’s relatives and friends, small mysteries that do not require the protagonist’s immediate attention. Subplots are often neglected by the protagonist until it’s too late, which helps you add drama, conflict, and tension in your story. When it comes to the overarching plot, make sure that the protagonist comes closer to solving that problem with each book – as a result of either the main plot or several subplots that enable you to create a final book that will please the readers (due to the resolution of the overarching plot) and make them cry for more. If you answered no to that question, prepared for this one: is there no love in real life? Just because you add romance to your urban fantasy story, it doesn’t mean that your story will automatically be bumped into the paranormal romance genre (although, the chances are high of this happening, considering that romance sells more than fantasy). But, romance happens in real life. Romance happens in an urban fantasy story. Unless your character has a very deep reason for being single, not having romance in your story (especially if you’re writing a series), will be weird and incomplete. Science fiction is often guilty of this problem, where the romance is either neglected or just happens in what seems like out of the blue. In urban fantasy, however, romance can also be featured way too much (example: Anita Blake: Vampire Hunter series, True Blood – Sookie Stackhouse series, and The Vampire Diaries). What you need is balance. Keep the romance as a subplot, rather than having it as a second plot (as is the case in paranormal romance, where you can literally choose to see the romance as the main plot, regardless of the presence of another plot or other subplots). The best thing about adding romance in urban fantasy is the fact that, just like in paranormal romance, the participants in the romance will be paranormal humans (or beings), which changes the interpretation of romance. It offers the chance for writing a romance that can be challenged in a way that cannot be challenged in a normal world, which can serve very well for tugging on your readers’ heartstrings. If you’re writing a series, you can introduce multiple characters as love interests – however, be careful not to create triangles (maybe even rectangles) that are obvious and on the nose. Often, the hero and heroine meet in the first book and get the happily ever after either at the end, or, often, sometime in the middle, and then the story continues with them as a pair. Whichever you choose, remember that not adding romance to your story can be harmful rather than helpful – it will make your story seem dry. On the other hand, you don’t want a protagonist who is so obsessed with his or her love life that the main plot becomes a subplot. What does it mean to create an urban fantasy series? – You can allow yourself to pace your overarching plot – especially if the final antagonist/villain is nearly impossible to beat. What you need to do to create a series is to plan an overarching story arc (overarching plot), and with each book, you need to have your protagonist come closer to the resolution. If you’re creating a spinoff, make sure to choose the new protagonist wisely. The new protagonist in a spinoff series is usually part of the main cast of major characters, although, often, the new protagonist is physically far away (in a different city, perhaps), and lives a life that is vastly different from the life of the protagonist in the initial series. Creating a spinoff has to be done carefully, and the spinoff has to focus on a different character and, while it is possible for the spinoff to serve the main overarching plot, it is way better if the spinoff protagonist has his or her own story that does not revolve around the overarching plot of the main series. Cameos of the main characters from the main series, however, are welcome, especially if they have skills and abilities that can be used to resolve the conflict in the spinoff novel or series. Urban fantasy as a genre is very versatile and it offers you the chance to be highly creative when developing the world, characters, and stories. As we noted several times, never take any writing advice for granted, and always modify each tip until it works for you. You might be comfortable developing a plot in three points, or you might need to create a detailed outline that shows you everything you need to know. You might need to create a series bible where you will keep everything about the characters, events, and the world at the tip of your fingers – or you might choose to keep it all in your head. You might want to include characters from every supernatural species you’ve created, or you might want to just focus on a main cast of relatively human characters. You might use a certain mythology in detail and keep everything without adding your own spin on things, or you might want to create your own. In most stories, vampires suffer in daylight – that doesn’t mean they need to suffer in yours. Angels might be kind creatures in Christian myths and legends, but they can be ruthless and cruel and evil in your world. As long as you keep the world consistent, as long as you have a story, as long as your characters change and progress, you will have an urban fantasy book that is able to stand on its own two feet and entice readers – and if you can generate a fan base with your first book, you can continue it into a series. The creation of a series is neither new nor limited to the urban fantasy genre, although urban fantasy (like epic fantasy) offers more possibilities for the expansion of your world. You can mention places in the first book and have your characters visit those places throughout the series. You can introduce problems that can take years to solve, mysteries that will have the readers reread over and over again in trying to solve them, and best of all, you can have romance that does not need to be fast (goodbye instant love, hello well-developed relationship), and, in most cases, the romance is good for the story. Writing an urban fantasy is like stepping through a veil in the real world and entering a world that is essentially a magical version of ours – and if you create a series, you can live in it for years, maybe even decades to come. A Beginner’s Guide to Writing Urban Fantasy is an article from Writing Tips Oasis. Your explanation of the urban fantasy genre deserves kudos; and the way you’ve organized everything: superb. I can see this migrating to a how-to book. Elizabeth S. Craig has already tweeted this page, and I intend to retweet as soon as I leave. A very good article of making of the Urban Fantasy novel. I have read books where they include humans, vampires and angels, and fay and sometimes it does get to be too busy. I agree. You need to pick and choose what characters will drive your story.